A common question that people ask is whether the service is worth the cost. There is no one answer to this, however. In some cases, it is absolutely worth the money. In others, it is not. You have to look at your personal situation to determine whether it is. Rugs to which you have a personal attachment, ones that you would not want to replace for any reason, are worth repairing. If you do not want to lose the rug, go for a repair. If the rug is expensive, and replacing it would cost more than repairing it, then you are saving money by doing a repair. On the other hand, rugs to which there is no attachment and that cost less than a repair are not worth repairing. If you spend more on it than you would on a replacement, and it is not one that you care about, there is no point in spending more money than you otherwise could. For expensive rugs, this is the most important question. It does depend on the rug itself. 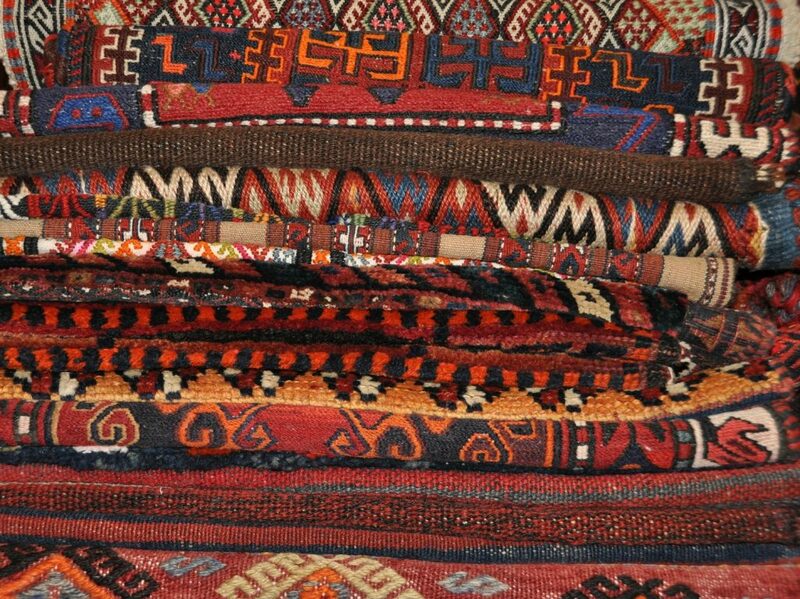 For most rugs, there is no difference between the repair and the original rug. You can have it repaired without any loss in value. However, some rugs have complexity and details to them that make them more valuable. The inability to recreate those details will result in a loss in value if trying to repair it. What do pet stains do? Pet stains, even those removed immediately by you, can have long lasting effects without professional rug repair. Pet stains can go through the entire rug, removing the color. Over time, that color may continue to fade in the spots with pet stains. Vomit and urine both have the ability to remove the dye from the rug permanently. Repair services right away are the only way to combat this. Is it possible from home? Rug repair from home, in general, is not a good idea. At home, it is impossible to do the full and thorough cleaning that a professional can provide. This may result in less than satisfactory results. If you have no choice, you must find someone who specializes in doing repairs and cleanings at home. Specialized equipment and knowledge are necessary. How often does a rug require repair / cleaning? You should consider general maintenance every couple of years or so. This removes all of the damage done over that period. 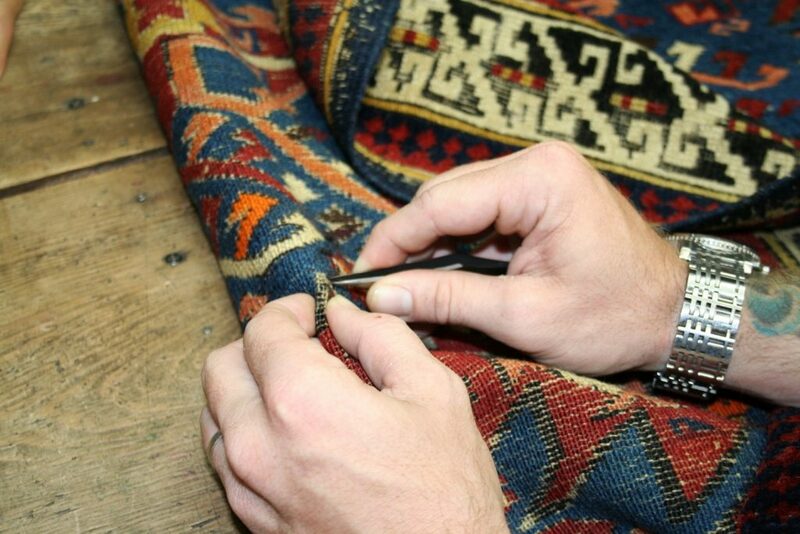 In instances where there is an immediate problem, rug repair should happen right away. Treat large rugs as you would a wall-to-wall carpet, removing your shoes when walking on it to prolong its life and taking care not to drop anything on it to stain it. If the rug has tassels, check and straighten them from time to time. If your rug is going to be washed or dry cleaned, divide the tassels into small sections and tie them with white string to avoid tangles. Keep your rug vacuumed regularly, making sure the settings are low enough to prevent any damage to the fibres from too rigorous a cleaning regime. Smaller rugs can come in for more wear and tear as they are often placed at harder wearing spots, such as door entrances or in front of working fireplaces. They can benefit hugely from regular shaking or beating outdoors to get rid of dust, crumbs etc. Vacuum them as above and again take care to follow the cleaning instructions to prevent damage to the fibres. Rugs of all shapes and sizes can be dry cleaned, or you can apply carpet cleaner and lukewarm water and wash them yourself. Always check the label if you are using any cleaning fluids and insist on an inconspicuous area being tested for colour runs first. Pour unscented talcum powder into sheepskins and rugs with longer piles and shake out a few hours later. You may need to enlist more specialist help to move and clean larger, or more valuable rugs. If in doubt, call in the rug cleaning experts. Avoid hanging wet rugs over a thin clothes line as this will distort the shape of the rug underneath. Use a table, countertop, bench or chair to dry them instead. Pets are a wonderful addition to the home, but their discarded dander and fur can play havoc with the look of a rug, as can any toileting accidents or sickness. Use a stiff clothes brush rugs to remove fur and buy a vacuum with a special pet fur setting for optimum results. Follow expert advice on cleaning up after any pert-related accidents. Teach children to respect the rug and to not bring food or drink into the room. Provide them with a safe area to do colouring and crafts to avoid droping paints, glue or glitter on the rug. Always have your rug professionally cleaned and checked for moths, carpet beetles and other pests before putting it away in storage. Add some cedar wood or moth balls to protect it from being eaten. Roll the rug into a cylinder from ‘bottom to top’, i.e. find the direction of the rug’s nap and roll it in the same direction. Then, wrap it in acid-free craft paper and cover it with something like a large, clean sheet to keep it clean. Store the rug off the floor, standing up in a climate-controlled space to prevent it from becoming wet in a flood and the nap from getting squashed if laid lengthways.